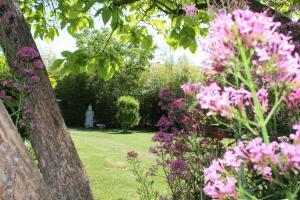 Its a nice base to explore the Luberon area, very close to main supermarkets. (3 min drive) very quiet. the host is very kind and helpful. We had a lovely stay at Lìslo Bamboo. 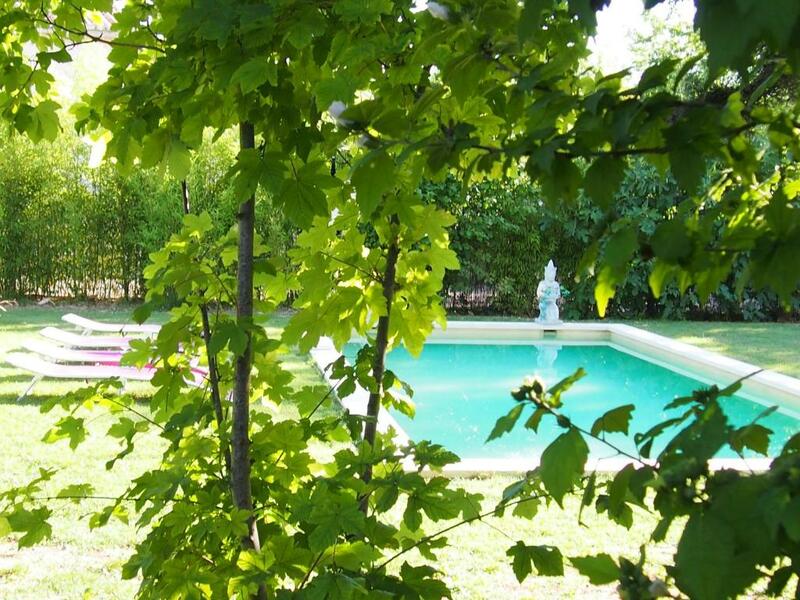 Nice garden with swiming pool and welcoming hostess. The location is very central to visit many attractions. La casetta era bene attrezzata, l'esterno però poco curato. 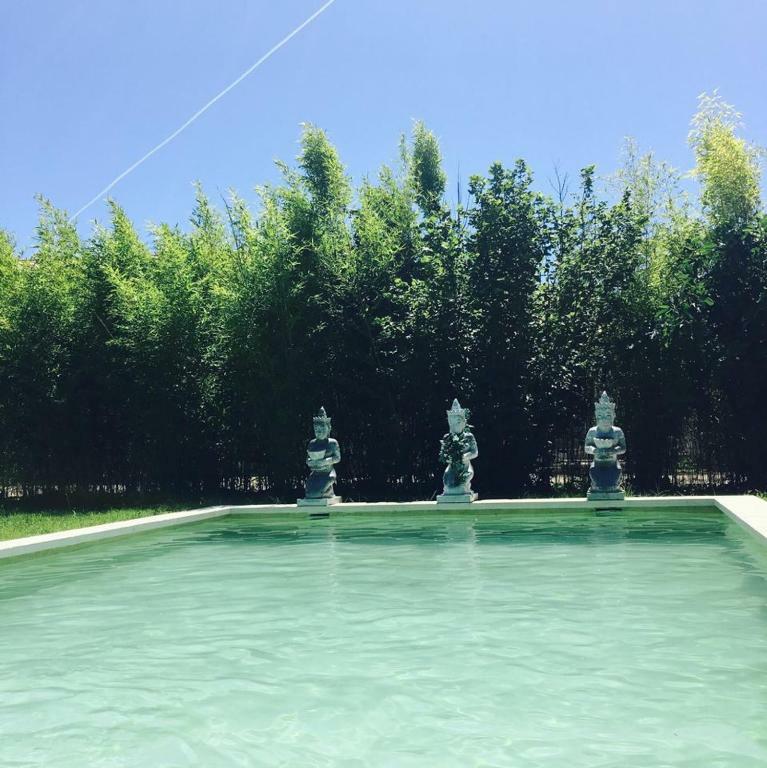 La piscine L accès au jardin et ces différents espaces permettant de se poser ou de méditer. La décoration de la chambre, simple mais harmonieuse et reposante. L' accueil chaleureux de notre hôte. La place de parking La tranquillité du lieu à l' écart du bruit. L'emplacement est idéal à quelques minutes de l'isle sur la sorgues et de fontaine de vaucluse. 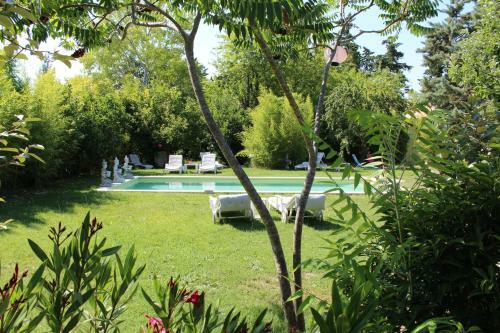 Un bon emplacement, une hôte agréable et disponible et une super piscine qui permet de se ressourcer. Die Unterkunft ist ideal gelegen für Ausflüge in die schöne Luberon-Gegend oder Sehenswürdigkeiten wie z.B. die l‘Abbaye de Senanque in Gordes, Roussillon oder Rustrel. Le site central permettant de bouger aisément dans la région, la piscine en été, le logement propre et de qualité. 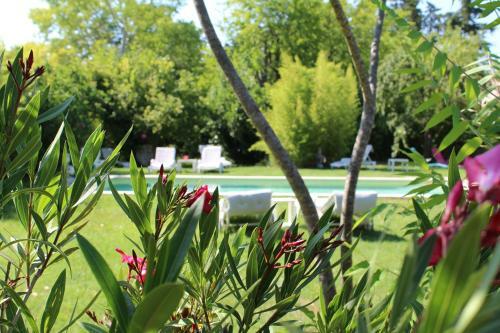 Lock in a great price for L'Islo Bamboo – rated 8.1 by recent guests! Offering a seasonal outdoor pool and BBQ facilities, L'Islo Bamboo is self-catering accommodations located in Saumane-de-Vaucluse. Wired internet is available and Avignon is 15 mi away. Studios feature a flat-screen TV with cable channels, a dining area and a terrace. Offering a shower, private bathrooms also come with a hairdryer and towels. The fully equipped kitchen includes an oven, stovetop and microwave. Additional features include a dishwasher and coffee machine. Groceries and restaurants can be found within 2.5 mi of the property. 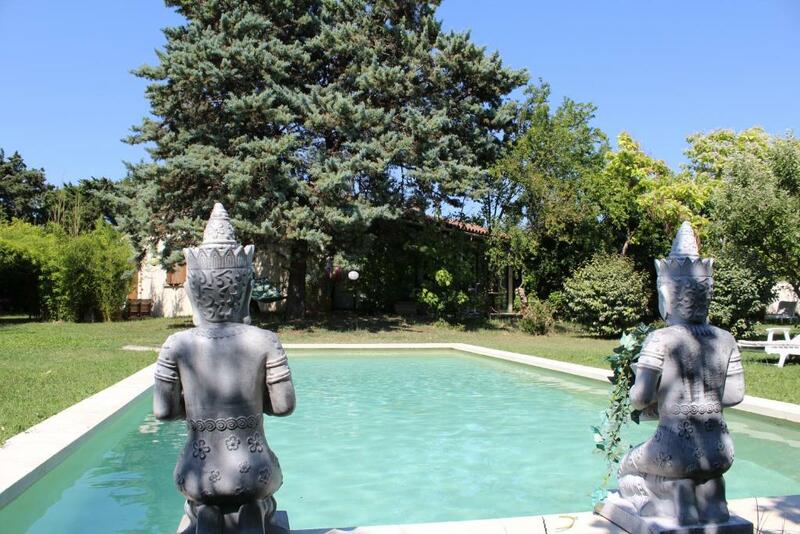 The garden at L'Islo Bamboo features Buddha bamboo statues. Activities possible in the surrounding area include horse riding, cycling, fishing and hiking. 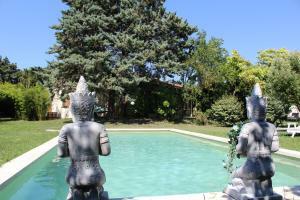 L’Isle-sur-la-Sorgue is 1.2 mi from the property and Provence Airport is located 34 mi away. The property offers free parking. 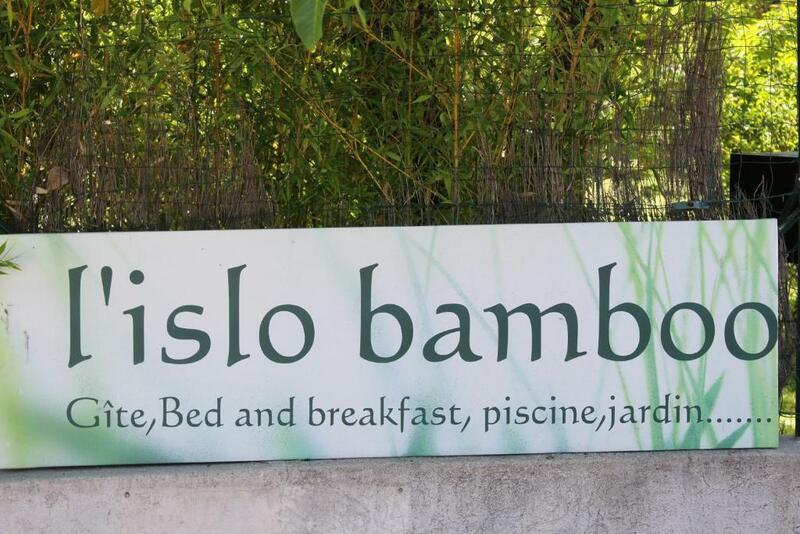 When would you like to stay at L'Islo Bamboo? The studio feature a flat-screen TV with cable channels, a dining area and a terrace. Offering a shower, private bathrooms also come with a hairdryer and towels. The fully equipped kitchen includes an oven, stovetop and microwave. Additional features include a dishwasher and coffee machine. House Rules L'Islo Bamboo takes special requests – add in the next step! The GPS coordinates for this property are 43.91744, 5.09031. Please inform L'Islo Bamboo of your expected arrival time in advance. You can use the Special Requests box when booking, or contact the property directly using the contact details in your confirmation. the facility is not clean and not well maintained. we had many bugs and insects in the room (leech, spiders, grasshopper, mosquitos) its just like staying in camping. we haven't been provided with cleaning during our 1 week of stay either. doesn't worth the money. the host ask for the full payment during check-in.